If you have been charged with brandishing a firearm or a deadly weapon in California, it is important to understand what this crime entails. Our weapons charges attorneys at Wallin & Klarich want to share with you what the prosecution needs to prove in order to convict you of violating the California gun laws. The prosecution must prove that your conduct when exhibiting or drawing the weapon was intentionally rude, angry or threatening. To do so, the prosecution would need to present evidence beyond a reasonable doubt, such as eyewitness testimony that clearly demonstrates this element. Generally, a jury will give particular weight to the testimony of an eyewitness in order to determine whether a crime has been committed or not. “Rude” means any behavior that could be considered vulgar or offensive to another person. “Angry” and “threatening” are synonymous and generally refer to conduct designed to disturb, frighten, offend, injure or tend to injure another person. In order to be convicted of this offense your conduct must have disturbed, frightened, offended, or injured a “reasonable person,” who could have developed a credible fear of injury or death in a similar situation. This is an objective standard, meaning that your conduct does not actually have to frighten the victim so long as a reasonable person in his or her position would have been placed in fear by your actions. Also, you do not need to touch the victim in order to face criminal liability for this offense. In fact, if you intentionally injure someone while brandishing a deadly weapon, you can be charged with a more serious misdemeanor or even a felony. If you are charged with Brandishing of a weapon under the California Gun Laws, you face more serious consequences. Under California law a “deadly weapon” is any object, instrument, or weapon that is capable of producing and likely to produce death or great bodily injury. Virtually any object meets this definition: your fist, a baseball bat, a bottle or even your car could be considered a deadly weapon, depending on how it is used. A firearm specifically refers to a deadly weapon that fires ammunition: a pistol or revolver, for example. Brandishing a firearm carries increased penalties beyond those reserved for a deadly weapon that is not a firearm. To prove this element, the prosecution must demonstrate that you used a weapon unlawfully during a quarrel or fight. “Pistol whipping” is an example of unlawful use of a firearm. If you or someone you know has been charged with brandishing a weapon in California, you need to contact an experienced criminal defense attorney at Wallin & Klarich today. With offices in Orange County, Los Angeles, San Diego, San Bernardino, Riverside, Ventura, Victorville and West Covina, Wallin & Klarich has successfully represented clients facing weapons charges for over 30 years. 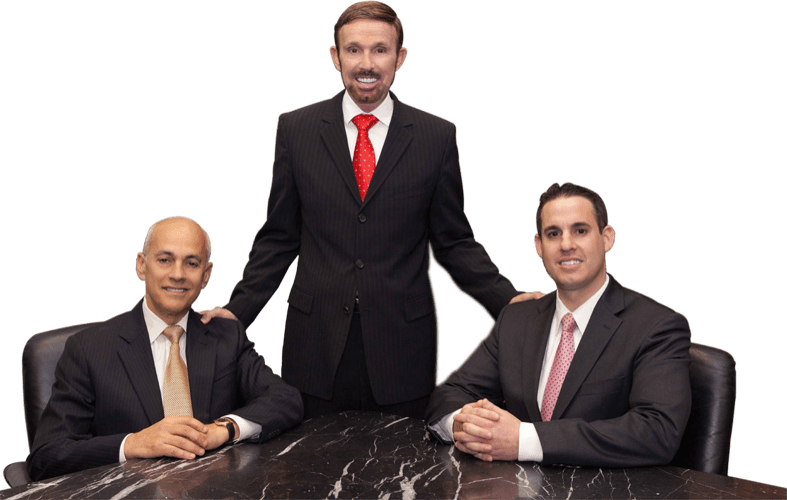 Our experienced and professional weapons defense lawyers will thoroughly review your case and develop an effective defense strategy to help you to win your case. Call today at (877) 466-5245 or fill out our confidential form. We will be there when you call.